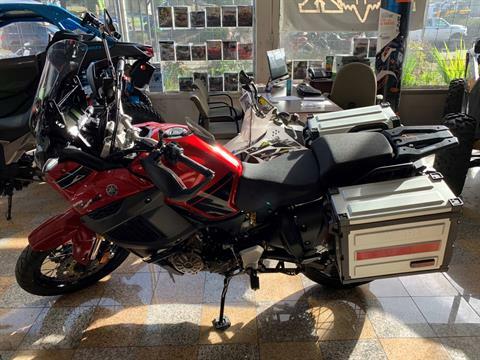 THE ULTIMATE TRANSCONTINENTAL ADVENTURER. 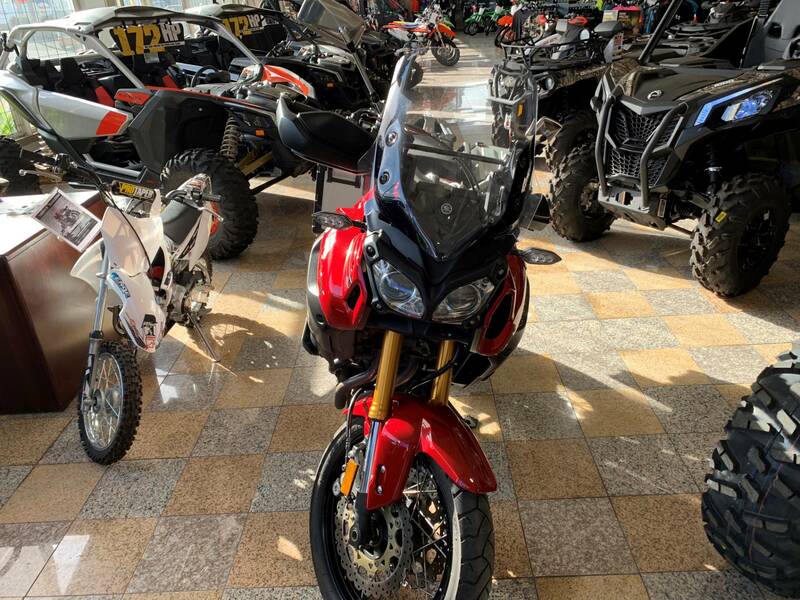 The 2015 Super Ténéré ES has everything you need to conquer the world: powerful, ultra-compact 1,198 cubic centimeter parallel inline twin; electronic cruise control; six-speed transmission; YCC-T and two-position Drive Mode; traction control; advance ABS brakes; adjustable seat and pushbutton electronically adjustable suspension. Pack your passport. 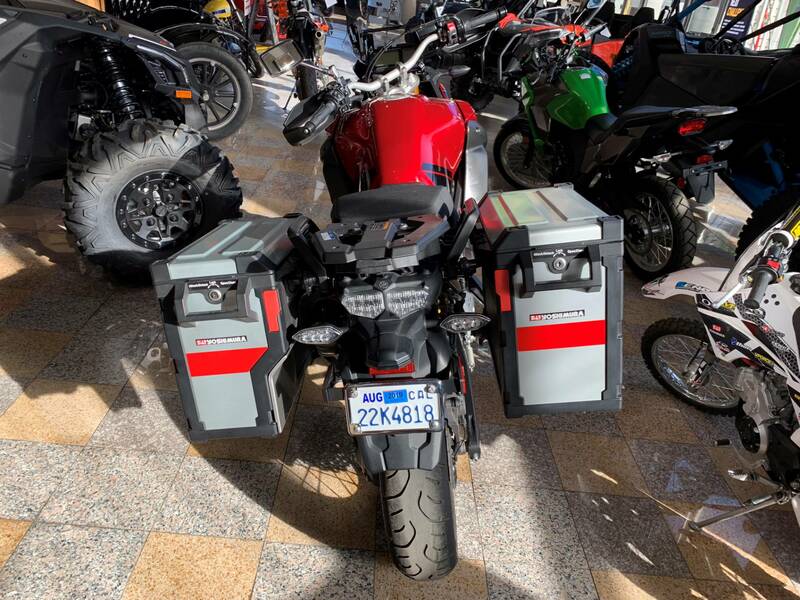 The optional flexible luggage system design has three possible set-ups: standard with no top case/side bags, top case installed, or side cases installed. 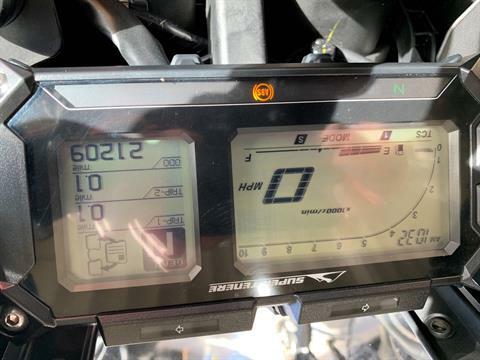 Electronically adjusted suspension offers four pre-lead settings, three damping adjustments and an additional seven damping fine-tuning adjustments. 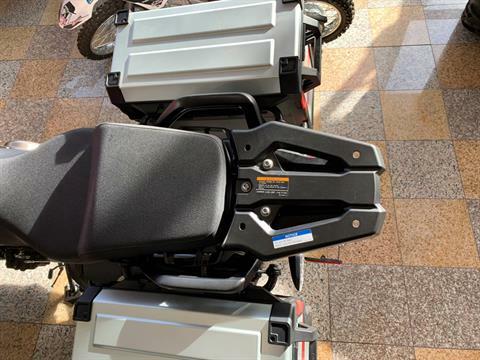 The machine can be set-up to match the riders requirements. The Super Ténéré ES comes equipped with adjustable windshield and seat height. One inch of seat height adjustment provides a low height for shorter riders or a roomier riding position for taller riders in the high position. The 1199cc parallel twin, liquid-cooled engine features a unique 270° crank for superior traction because both pistons fire so closely together. It’s almost like having a big-bore thumper without the uncomfortable vibration. Compact engine design uses a dry-sump oil supply inside the crankcase plus a side-mounted radiator for surprising narrowness. 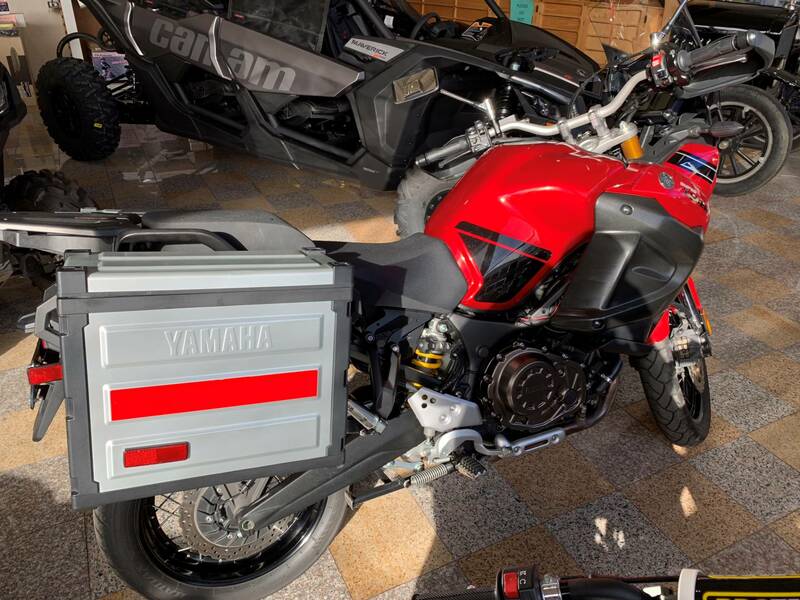 Revised for 2014, Yamaha D-Mode has two settings: “T-mode” for Touring and general riding, giving a softer response; “S-mode” for Sport riding when the rider wants the most performance possible. 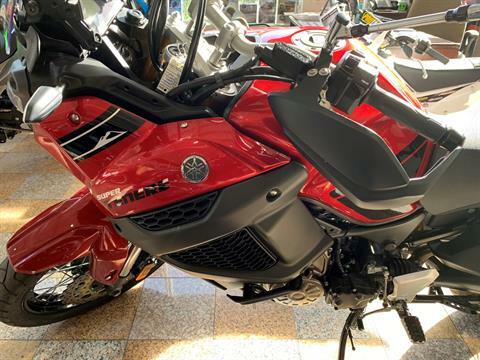 The Super Ténéré ES is built for adventure, with an exceptionally compact 1199cc parallel twin using a unique 270° crank for excellent torque and traction. Engine mass is kept low for great handling. Narrow 2-cylinder inline engine is slim and compact for carving tight lines in twisty mountain roads. New electronically adjusted suspension makes finding the right setting as easy as pushing a button. With four pre-load settings, three damping adjustments and an additional seven damping fine-tuning adjustments, the Super Ténéré ES suspension can be dialed perfectly to meet the needs of the rider, passenger and the amount of cargo and terrain. 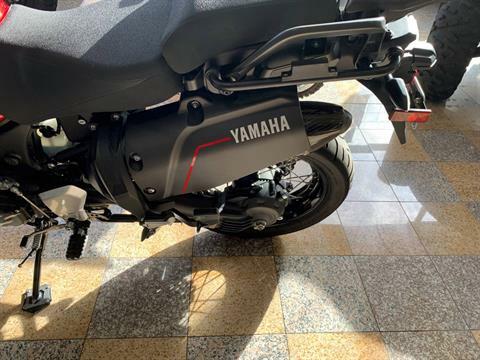 Twin downdraft throttle body fuel injection with YCC-T® (Yamaha Chip Controlled Throttle) delivers optimum throttle control and acceleration. Two-position “D-Mode” (Drive Mode) throttle response mapping for rider preference. Traction control lets the rider get on the gas with more confidence. 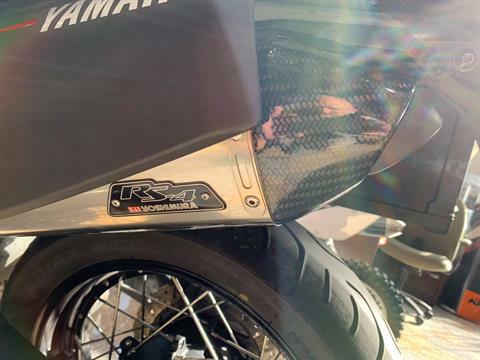 This very advanced system regulates ignition timing, fuel injection and throttle valve opening based on wheel spin, providing a smooth response that is not abrupt like the competitors. Three modes available to match rider preference, including off. Super Ténéré ES has both an Antilock Braking System (ABS) and Unified Braking System (UBS). 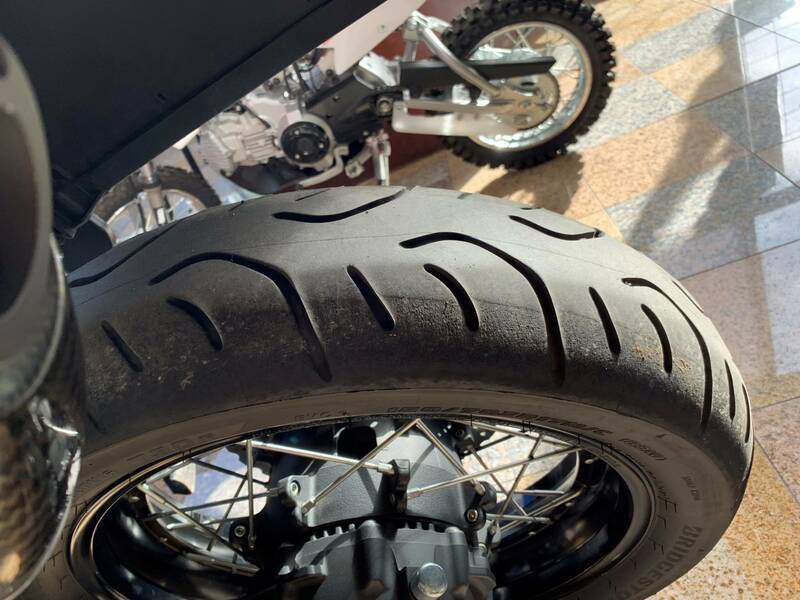 With UBS, squeezing the front brake alone also provides some rear-wheel braking; pressing the rear brake first overrides UBS for traditional separate front and rear braking action. Whether riding across town or crossing a continent, rider comfort and convenience are important. Super Ténéré ES delivers, with an adjustable seat height and windshield, tunable front and rear suspension, low-maintenance shaft drive, and more.